Don’t let your driveway be an afterthought when it comes to home maintenance. After all, cracks in a driveway can take away from the look of your exterior, and make your home appear dated. Check your driveway for cracks during spring and fall and have them resealed before winter hits. This is especially important to complete before winter because Minnesota’s snow and ice can cause those cracks to expand, furthering the damage to your driveway. Resealing cracks now can ensure that your driveway remains in good condition throughout the year. How you seal the cracks will depend on the material of your driveway. Concrete, for instance, would call for a cement repair product, while asphalt may require a rubberized asphalt emulsion filler. Living in the Twin Cities, you have to worry about how the weather is going to impact your siding. Moisture from snow and ice can cause wood and wood-based siding to rot, curl, warp or split, requiring you to repair or possibly re-side your exterior. Fiber cement siding, however, can resist Minnesota’s harsh weather conditions, keeping your home looking good even after inclement weather. 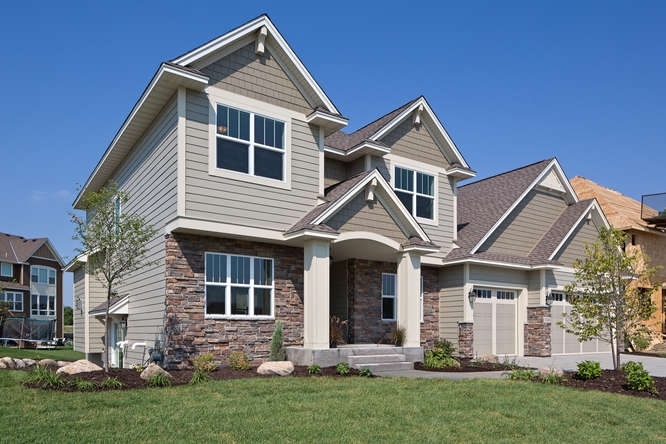 James Hardie fiber cement siding, for example, is equipped with greater dimensional stability than wood, which indicates the board’s ability to resist expansion and contraction with moisture content. Dimensional stability also helps prevent paint from cracking, peeling and chipping. 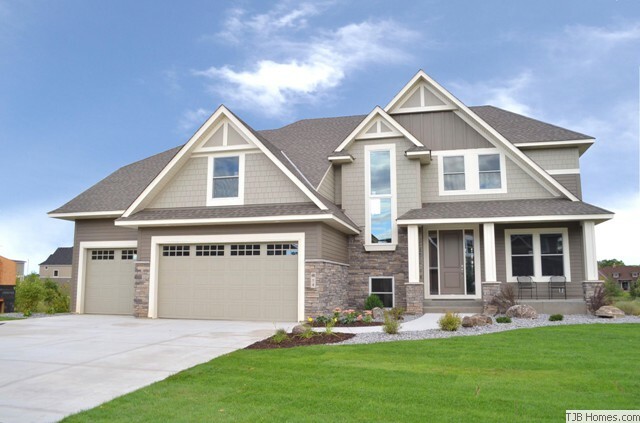 James Hardie fiber cement siding is Engineered for Climate, which means it’s specifically designed to stand up to the demands of Minnesota’s weather conditions. It’s not just moisture that fiber cement siding resists. It’s also non-combustible, providing greater security from fire than wood and plastic-based siding products. Fiber cement siding also protects against damage from termites, squirrels and woodpeckers, giving you peace of mind that your siding will deliver long-lasting durability and protection. Maintaining your gutters may seem like a fairly unimportant home maintenance task, but failing to clear out gutters that may be clogged with debris can cause long-term damage to your home’s wall cavity. If debris is preventing water from draining properly, water can begin to pool, which may lead to issues like cracks and mold. And that isn’t the only negative effect that comes from not cleaning out your gutters. A blockage can cause water to spill out over the sides, drowning flowers and plants below. Plan to clean out your gutters at least twice per year – once during spring and again during fall. If you want to ensure that your gutters never get clogged, you can consider installing gutter screens, which prevents debris from accumulating over time. Adding greenery like bushes, plants and trees to the front of your home incorporates color and texture to your exterior, helping to boost curb appeal and even increase home value. Plus, planting trees in the right location can save money on your heating and cooling costs. However, it’s important to regularly remove debris and trim any bushes, shrubs or trees near your home’s exterior in order to prevent damage to your siding. Write a checklist and set reminders for yourself to make sure you get around to these important exterior maintenance tasks. Making time for these updates can prevent small issues from turning into big problems, and can keep your home looking beautiful over time. Author: Hans Uslar, repair and remodel segment manager for James Hardie.